In the past, I have searched "intags:mine" on the main site to get a list of posts I would like to see. However, now when I do it, I get no results (I've tried it many times over the last month or so). It works when I do it on MathOverflow, so it seems to be a site-specific problem. 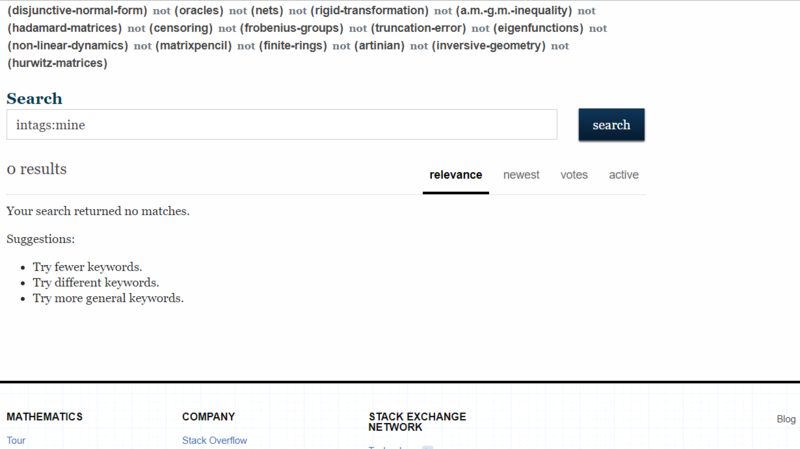 Here is (part of) what I see when I do the search. I have carried this as an experiment - perhaps it could serve as an additional datapoint which might help the OP or somebody else with further investigation. 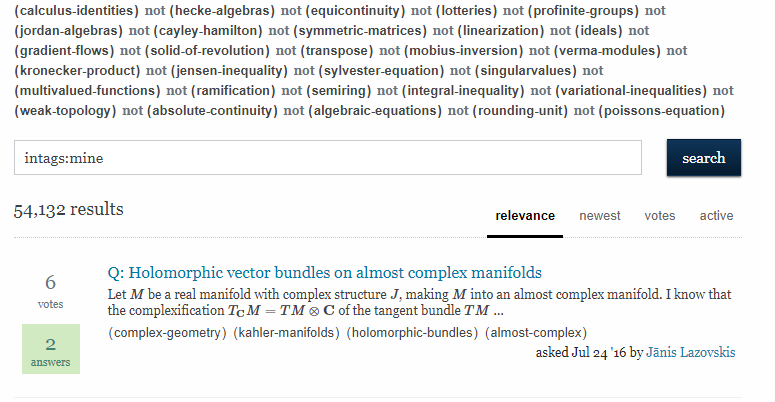 I have tried including the tags from the curent revision of the question as my favorite tags, and start adding some of the ignored tags. The results of the experiments are below. Incidentally, it stopped working at 1023 ignored tags; if I am counting correctly. One possible explanation could that this number is actually the limit for number of ignored tags. I have also asked on the Meta Stack Exchange: Does “intags:mine” no longer work above certain number of favorite/ignored tags? We will see whether we get some official confirmation that there is a limit for this. 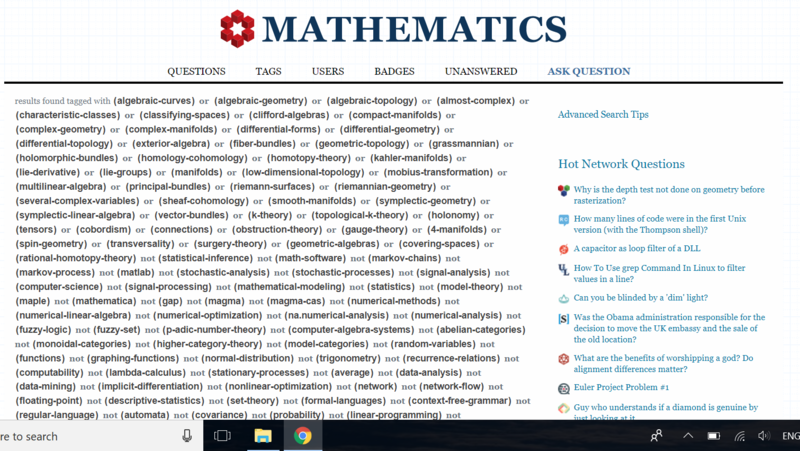 When I added all ignored tags until (and including) poissons-equation, the search worked as expected. And simply by after adding one more tag ramsey-theory I get zero results. Just to try whether it is some significance to this specific tag, I have removed this tag from the ignored tags and replaced it with combinatorial-number-theory. Again I came empty-handed. Not the answer you're looking for? Browse other questions tagged bug search favorites ignored-tags . Is it possible to list favourite/ignored tags alphabetically?